Here is my last Halloween tutorial all ready for you this morning. Have you seen the Little Red Riding Hood Cloak tutorial as well? 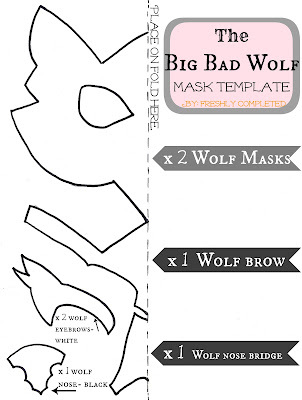 Well, here's how to make your own Big Bad Wolf. 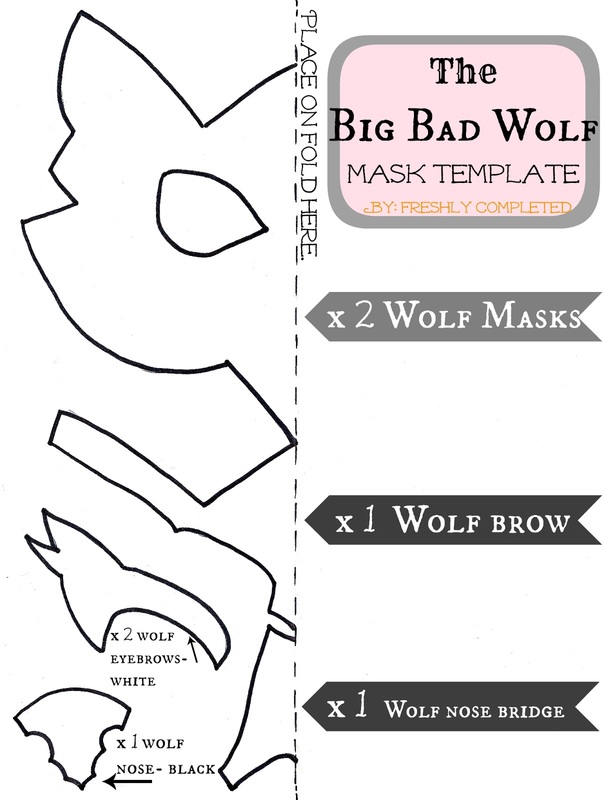 STEP TWO: Use the template to cut out two wolf masks out of the light gray felt. Cut out the wolf shapes and the eyes. STEP THREE: Cut out the rest of the wolf pieces using the template. STEP FOUR: Cut out no-sew adhesive and iron on to wolf mask. I did this so I wouldn't have trouble holding everything together while I was sewing it all together. STEP FIVE: Cut out the bottom of the eye holes on the main wolf piece. STEP SIX: Cut out little black strips for the back wolf piece. Place the top wolf mask piece on top of the back piece. STEP SEVEN: Measure correct elastic size for your child. Place elastic between wolf pieces, pin in place. STEP EIGHT: Sew around entire wolf, holding everything in place. The wolf mask is done, onto the rest of the outfit. STEP NINE: Cut out rectangles for the tail out of the light gray felt. Then cut out the shape (pictured below) out of the dark gray felt. Then cut out the tips of the tails using white felt. Pin the white tips together and sew the white tips to the rest of the tail. Then sew the dark gray tail piece to the top tail piece. STEP TEN: Sew around the entire tail, right sides together. Stuff tail with a little cotton. 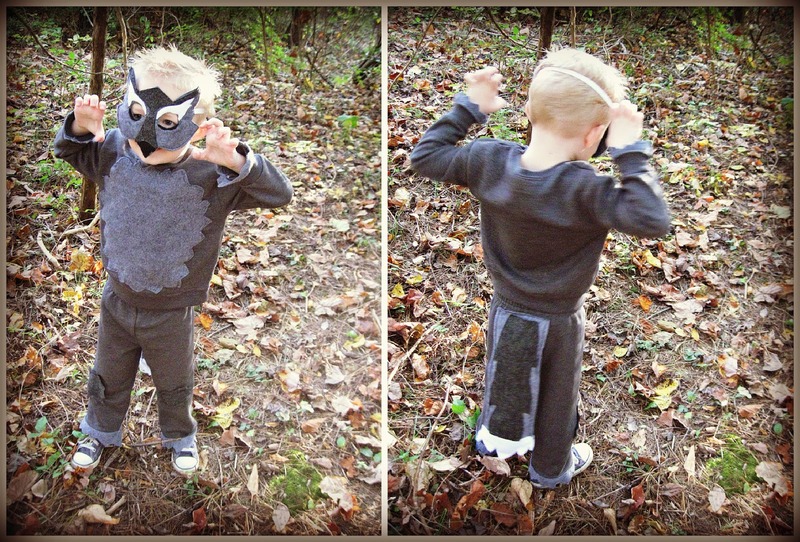 STEP ELEVEN: Sew tail onto sweatpants. STEP TWELVE: Cut out strips of light gray felt in a zig-zag manner and sew around the bottom of the sweatpants and the bottom of sleeves. 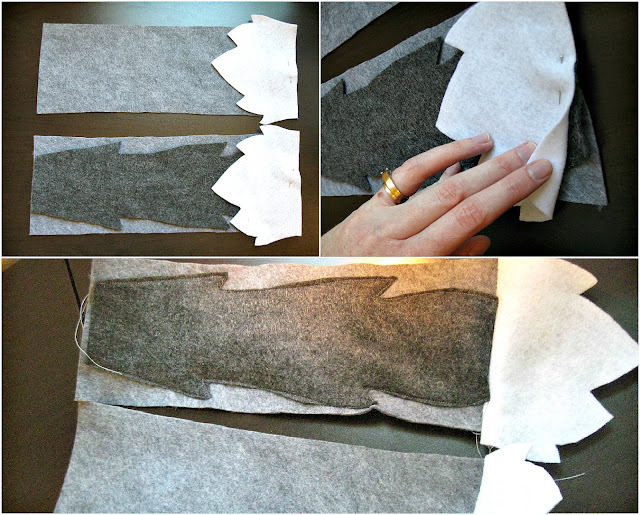 STEP THIRTEEN: Cut out a big tummy piece out of the light gray felt, pin in place, and zig-zag onto sweatshirt top. STEP FOURTEEN: Cut out knee patches out of the dark gray felt, pin, and sew onto sweatpants bottoms. Now this Big Bad Wolf can go scare some creatures in the forest...like Little Red Riding Hood. Just don't bonk him in the head with a plastic ax or he will go crying to his mommy, then demand to bonk you back. I love the pictures! Poor Little Red! And the wolf mask is pretty amazing. Awesome job! I love it!! This is so amazing! I just love costume ideas that start with sweatsuits. And that mask is so life like. 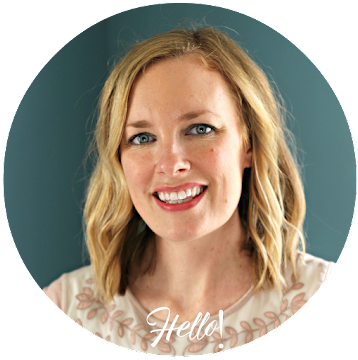 I'm so glad I found your fabulous blog through the Handmade Costume series. 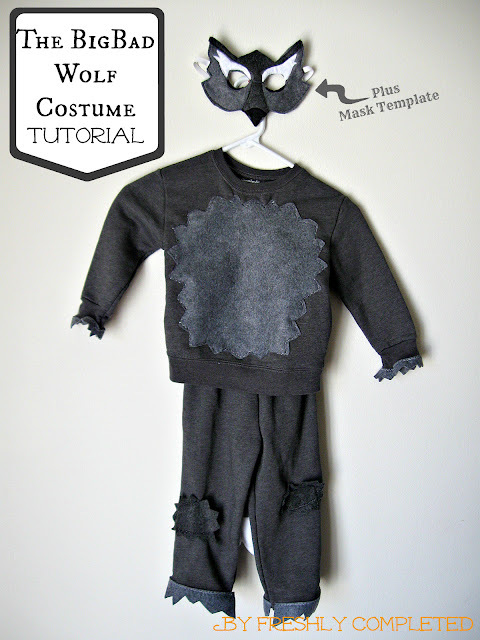 We featured your costume in a round up of DIY Halloween costumes with tutorials. We would love for you to come check it out! Thanks so much for the great tutorial. it was really helpful in making the costume for my son.I couldnt get all the materials so i improvised a bit. I cut the mask out of cardboard and covered it with grey material in the same shape on both sides. I stuck cotton for the eyebrows and they made it look really shaggy and wolfish. I also made large sharp pointed teeth with white cardboard and the end result made my son look like a pretty fierce wolf! Love this! Any idea how much fabric is needed total? Thank you for your tutorial! 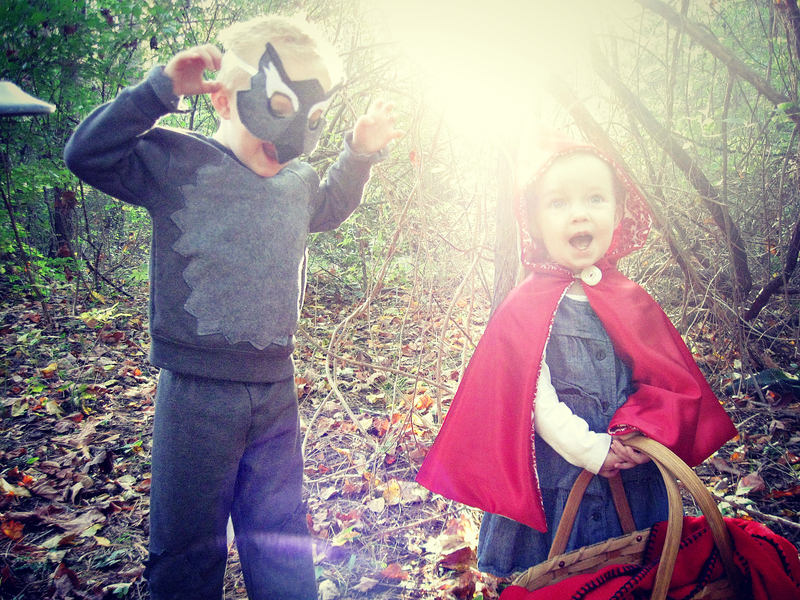 Would love to share a photo of the big bad wolf and red riding hood costumes I made, but not sure how to on here. Thank you so much for this tutorial, you made fairytale week for my son so easy for me. The mask I made turned out amazing due the the wonderful template you made.